Aside from having a special educational need or disability, one of the biggest barriers to success at school is your family living in poverty or being otherwise disadvantaged. Children and young people living in these difficult circumstances often struggle with underachievement, lack of confidence, they find learning challenging and develop differently. Underlying factors or needs, whether that is cognitive, physical, emotional or social can result in a fundamental lack of progress when compared to their peers. This is a key theme in their upcoming conference on June 14th entitled Every Child Included, in association with Oxford University Press. Tickets cost £65 per delegate, with a special discounted rate of £25 for all Achievement for All schools and settings. Parents can join those schools attending at no extra cost. 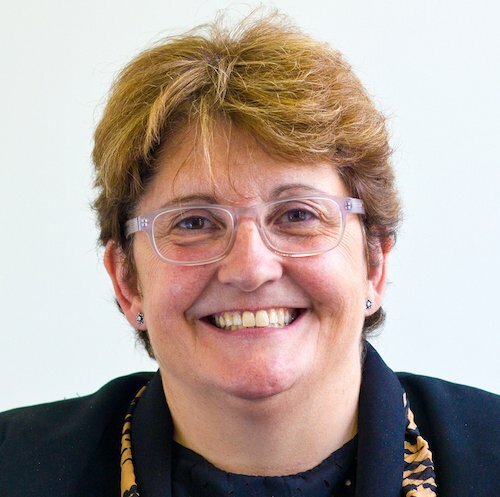 One of the speakers at the conference is CEO of Achievement for All, Professor Sonia Blandford has written for us today about how the key to success for children is about building confidence. 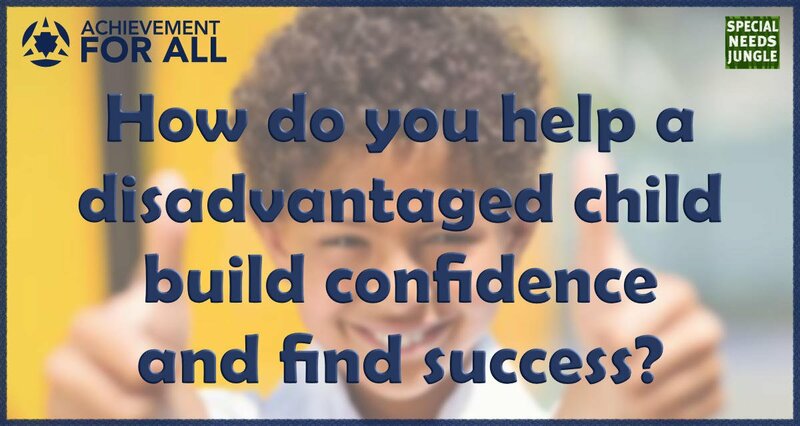 Building a child’s confidence is key to success but how can this be achieved? Children and young people experiencing challenges, disadvantage and underachievement lack confidence, find learning challenging, develop differently and have limited participation in society. They fall foul of a vicious circle, with each occurrence of underachievement or exclusion being seen as a failure, further diminishing their confidence and limiting theirpotential. This needs to change. Over the past five years it has become increasingly apparent among the 100,000 targeted children and young people engaged in Achievement for All programmes that the common starting point in breaking this vicious circle and enabling their progression is the need to build core strength,i.e. the confidence and ability to learn, develop and participate in society. The underlying factors for a child or young person lacking core strength may be cognitive, physical, emotional or social. Each of these factors present themselves as a fundamental lack of progress of the child or young person when compared with their peers. However, people often misinterpret causality as a diagnosis that focuses on a deficit, i.e. children and young people are told 'they can't do this because they have a problem or difficulty'. If any child or young person hears themselves labelled in such a way repeatedly, it will form part of their self-image is potentially self-fulfilling– ‘they said I wouldn’t be able to do it, and I couldn’t’. Expectations are lowered and a rhetoric of failure becomes present. So how does one go about building a child or young person’s core strength? Where can you, as a teacher, leader, parent or carer begin? Achievement for All has proven in many different contexts and settings that 'they can succeed'. In order to develop a child or young person’s confidence, especially when it is already lacking, it’s important that judgements are left at the classroom door. People don’t necessarily do this consciously, but by being more mindful of being supportive and encouraging will help to steer interactions in the right direction. For a child or young person to believe in themselves, the adults around them may need to alter their behaviours. It is axiomatic that any behaviours that encourage, challenge and support, nourish and develop, and that are values driven and inclusive will be beneficial. Focusing on what a child can do, rather than stalling on what they can’t do will have a positive impact on their self-belief. Achievement for All has developed an inclusive framework that develops leaders and teachers, parents and carers to support and develop all children and young people. We provide coaching, training, tools, information and knowledge, providing the foundations to create and develop core strength in every child and young person. Building core strength and illuminating good practice amongst professionals whilst valuing every parent and carer as a partner in their child's growth and learning is key for us. We believe that all children and young people can improve their learning regardless of background, challenge or need – and building core strength allows the child or young person to believe this too. Achievement for All, in association with Oxford University Press is running The Every Child Included conference, taking place at Newbury Racecourse on June 14th 2017. The conference will explore how education practitioners from early years to post 16, home educators and parents and carers can collectively unite to ensure every child is included, regardless of background, challenge or need. Special Needs Jungle will be joining as an exhibitor alongside an impressive line up of speakers and panellists. Follow @AfA_Education #everychildincluded for the latest developments. Professor Sonia Blandford is one of the country’s foremost experts on Improving the education and aspirations of children from disadvantaged backgrounds. She is currently founder and CEO of the award winning educational charity Achievement for All, which provides programmes to improve outcomes for children and young people aged two to 19 years, vulnerable to underachievement, in 5,000 early-years, school and post-16 settings in England and Wales; and professor of education and social enterprise at UCL Institute of Education. Sonia was named in Debrett’s 2015, 2016 list of the Top 500 Most Influential People in the UK, and was among the 2016 Women of the Year. She is Chair of the Blackpool Challenge and also a Founding Trustee and Vice Chair of the Chartered College of Teaching. Sonia is currently a leading researcher in the European Agency OECD Raising Attainment project. Sonia is author of 2000 articles and books written for teachers, leaders, parents and carers, and children and young people, most recently publishing with John Catt, Bloomsbury and Taylor Francis. Sonia is also editor of the ‘Every Child Journal’.